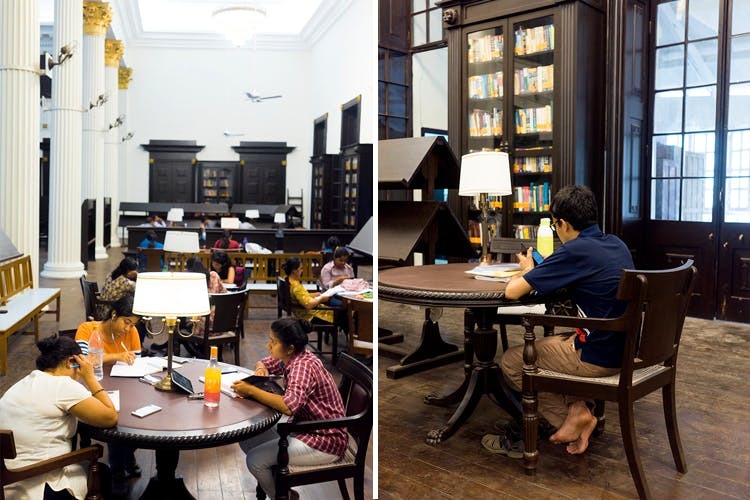 The ever-so-iconic 233-year old Asiatic Library has turned with the wave of time. As reported by the Indian Express, they have begun the process of digitising their 50,000 manuscripts and more than one lakh of journals and publications. Allotted with the task of digitising almost 50,000 books at the Asiatic library which began last year in December, it’s expected to be completed in three phases. The idea behind this move was to preserve the rare manuscripts that have been at the Asiatic for decades and centuries, a move that has been adopted by a lot of the major libraries across the world. In the first phase, the exercise will convert the rare and the old manuscripts into a digital form, that is, DVDs. They will also be uploaded on an online portal that will be accessible to all the library members, researchers and scholars. This portal is expected to be launched in June itself. Though libraries are a rich source for all historical references, manuscripts, books and journals, it is important to preserve them. By initiating this project, these manuscripts will not only be digitised and be perennially preserved, but also be easily accessible to patrons who just have to log in to the portal. The digitisation is especially aimed at the books that were published before the Indian Copyright Act, 1957, as reported by the Indian Express. Currently under this category, there are at least 15,000 books marked as rare and valuable and even classified as first editions. To give perspective to this needed move, the old manuscripts at the library include an illuminated manuscript of the Quran, an old text of Gulistan and even manuscripts of Padshahnama bearing an autograph of Emperor Shahjahan. Along with works in Sanskrit, Urdu, Persian and even Arabic. It is but imperative to preserve this rich historical texts and offer them to the current and future generations. At least 20,000 books and manuscripts are yet to be digitised. However, what we are excited about is the launch of the online portal expected to go live this month after missing the deadline of March 2017. Here’s looking forward to a momentous initiative by the library that houses books and texts even older than India. Stay updated on this project by following the Asiatic Library here.